Much excitement accompanied the start of the Y4 girls’ race with 189 girls lining up between the flags. The Saint Ronan’s girls tackled the course with real determination, running hard and finishing strongly. Daisy A was first home, just one second faster than her time last year (05:52) but a full thirty-one places further up the field in 9th place! Jemima W shaved twenty three seconds off her time (being in place at the start helped!) and finished fifty-eight places higher than last year in 11th (05:57). Growing in confidence all the time, it was great to see Mishca W cross the line in 41st (06:24), with our cheerfully determined little Athena M finishing in the top half of the field in a well deserved 78th place (07:03). 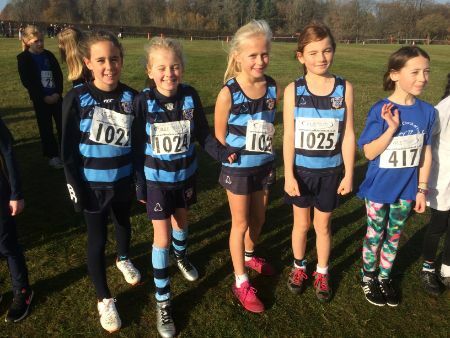 Wonderful running from the Y4 girls!